For decades, our favourite money-saving furniture option has made its way up the home decorating ladder around the world. With styles for every room and now some of the most stylish kitchen designs out there, IKEA remains the favourite for full furniture sets, and of course, all the accessories you need to make your house a home, for less than the price of a fast-food meal. With deals availible right now and year-round(not that IKEA needs them! ), a trip to your local IKEA can be what you need to turn your space into a living space. Whether it’s the iconic Ektorp chair or dining accessories, IKEA is still the natural choice for your home- and it isn’t just the economy option anymore, with perfectly modern styles and the seasonal catalogs that always end up on everyone’s coffee table. 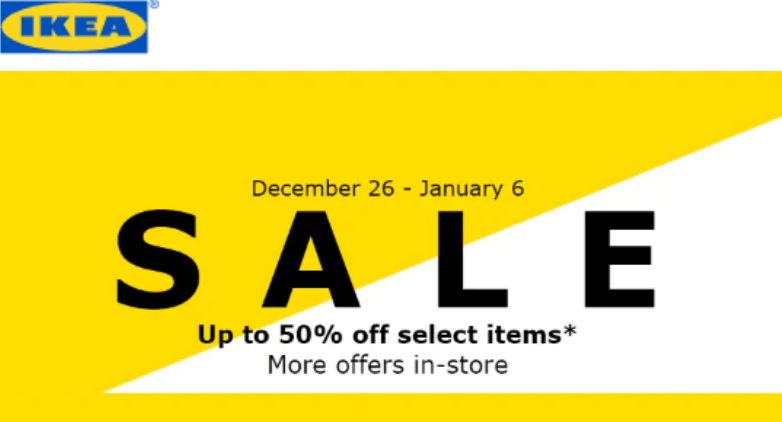 IKEA Canada Boxing Day 2018 Sale *LIVE* Save up to 50% off + More Deals! 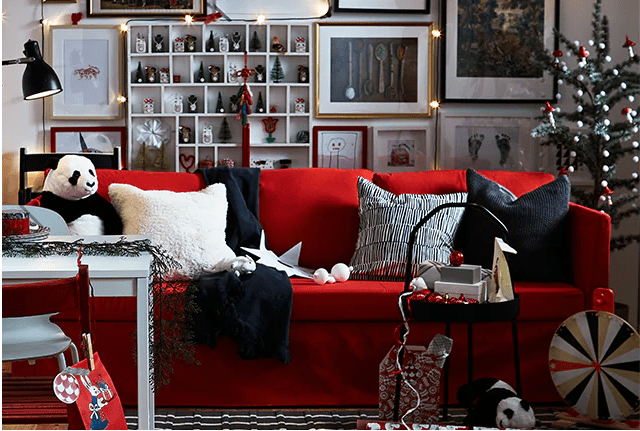 IKEA Canada Boxing Day 2018 Sale *LIVE* now, where you can save up to 50% off select items + more offers in-store. This Sale is valid from today, Wednesday, December 26, 2018, to January 6, 2019. Valid in-store, online and at Pick-up and Order Points in Canada only. Discount applied to the purchase price before tax. While supplies last. No rain checks. Selection may vary by store. Limit of 4 per customer. Also, Extra 10% off sale price for IKEA FAMILY members. Offer valid for IKEA Family Members only. Valid on winter sale items purchased in-store only. Not available for online purchases. All other sale terms and conditions will apply. 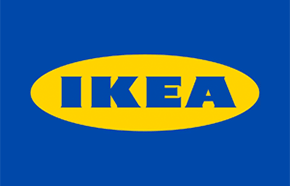 Click here to start browsing IKEA Canada online offers. IKEA Canada has an awesome online offer available on December 25, 2018, only, where you can Save 15% off on your online order for home delivery of $400 or more. 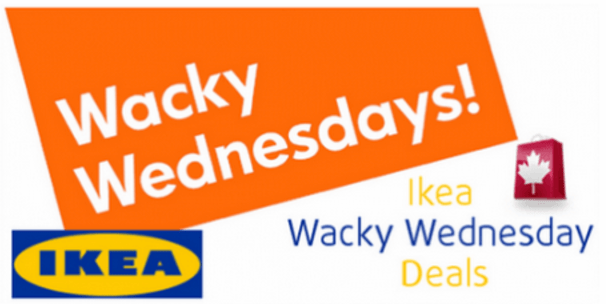 IKEA Canada has some great sales in each store every Wednesday, also known as Wacky Wednesday! The following list includes the IKEA Canada’s Wacky Wednesday deals and sales that will be valid on Wednesday December 27, 2017.